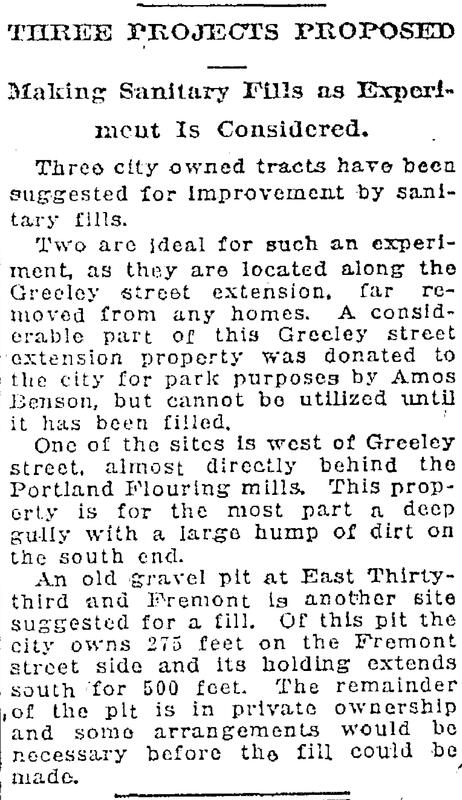 Doug, As I’m sure you know, the reason for all the gravel that created the Alameda ridge was because, thousands of years ago, the Bretz (Missoula) floods came sweeping into the Portland area from the Columbia River gorge. The entire Oregon-Washington-Montana area was inundated many times as ice dams from the last ice age broke apart and washed down the Columbia as the temperature warmed. That’s why our gardens are so full of rocks today. Those rocks generate the radon gas we have to deal with in this area. Great story..I bought a home on 32nd place (second house down from fremont) in 1980 and every time I worked in my yard, I brought up pieces of China and glass…this article explains why!! Thanks for the interesting article. As I was reading, I remembered some old research I did as a member of the Alameda and Beaumont PTAs. Prior to their construction, temporary sites were selected for each school. 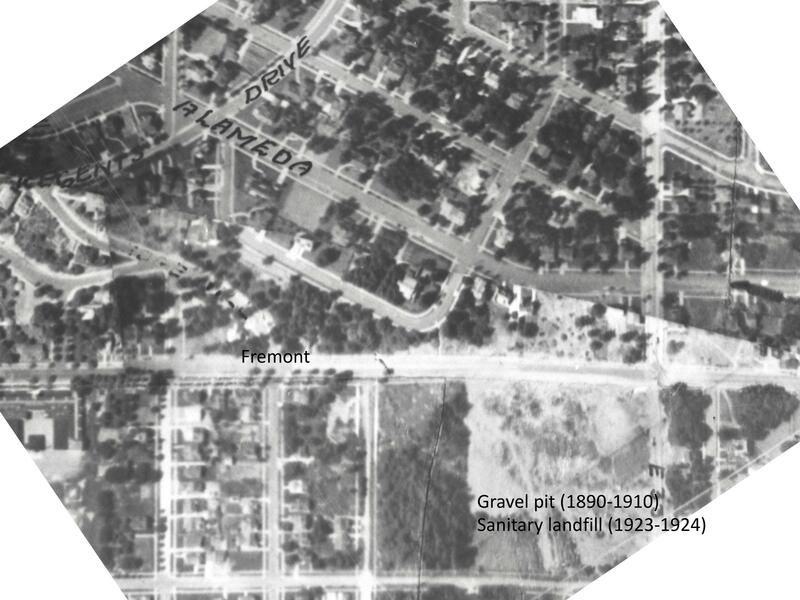 The Alameda site was at 33rd and Fremont or in those days, and as of today, the former gravel pit. 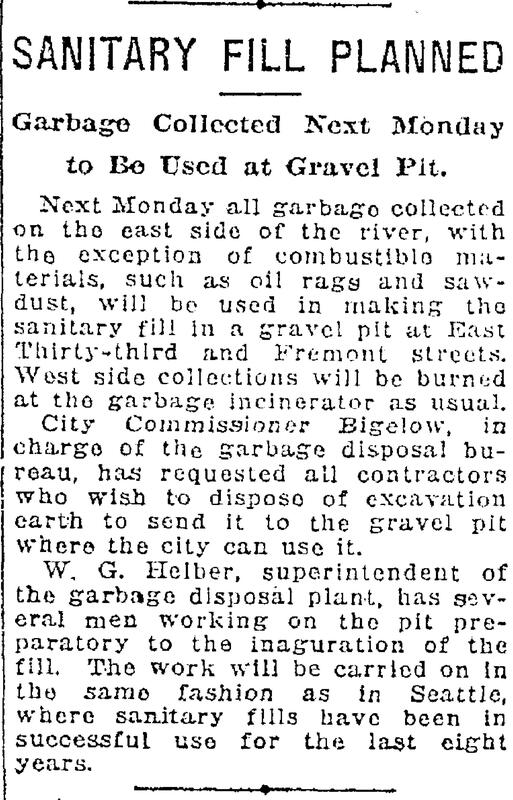 I’ve attached an article I clipped from Sept. 18, 1914. For reference. 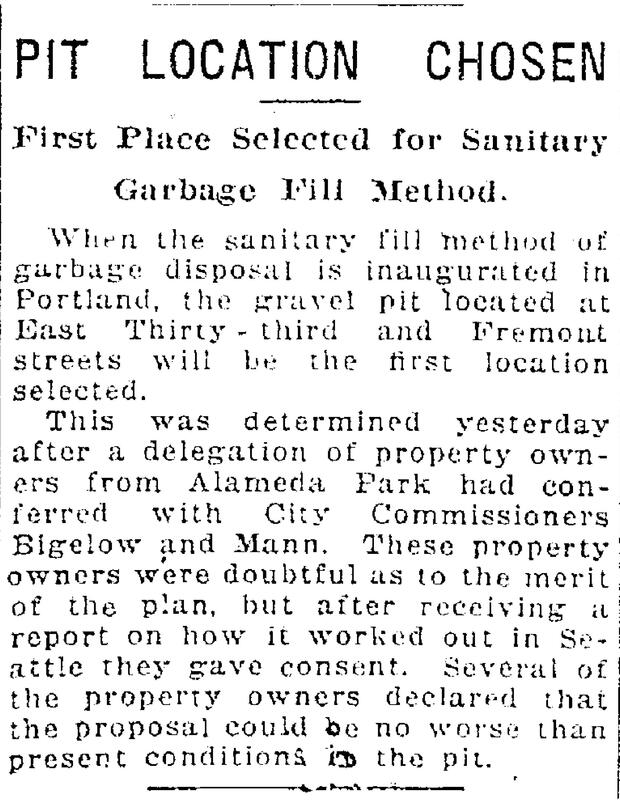 Apparently folks were not happy as they clamored for replacement of the temporary structures just a year later on October 14, 1915. A little bit more history about the house. 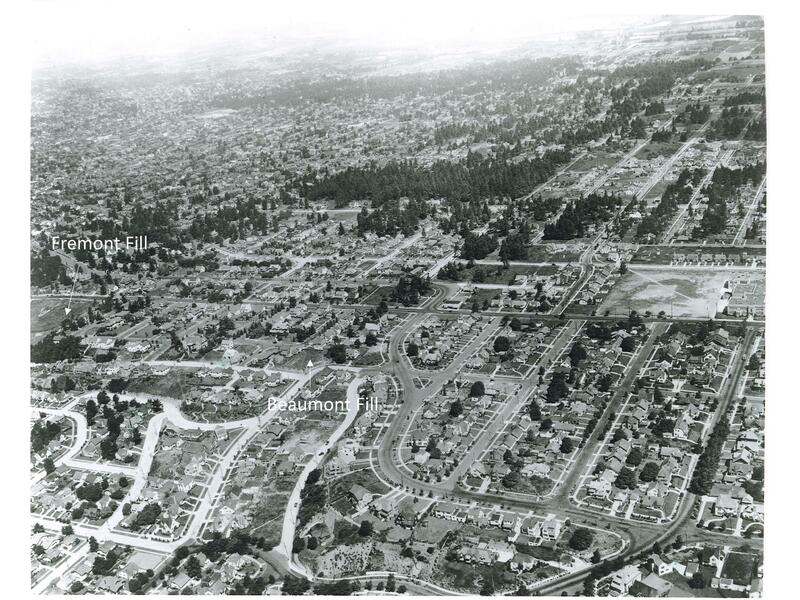 I grew up in Laurelhurst in the 50’s-60’s. 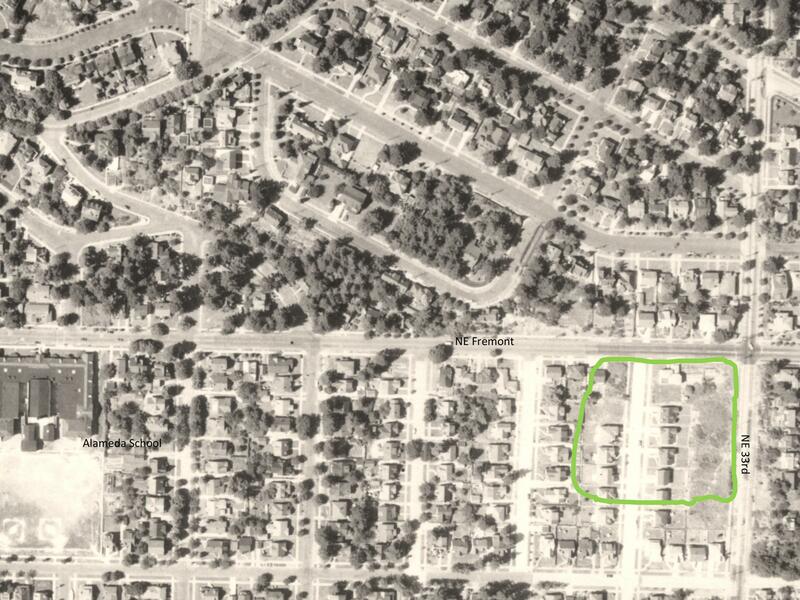 Our family drove by that house regularly on the way to Riverside Country Club, where we were members. My father told us about the house. My father’s friend, who owned the well known Fox Furniture Co., built the house with the swimming as a wedding gift to his daughter and her husband and that it was built and finished to the highest quality. That certainly was true, except for understanding the engineering of the foundation. Doug, thanks for the article. It brought back poignant memories of a very special home that we were not able to save, but loved none the less.